We supply a number of machines that differ in time period and size. They all present the same safety features, ease of assembly and transport. The standard models draw 300 kg (around 650 lbs) strength, and are sized to fit a normal estate / MPV car. Check each model details for customizing options, including size. 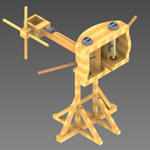 The Medieval bolt-shooter model features an enclosed winch for drawing the string and revolving-nut shooting system: it’s easy to load and shoot. The squared, rugged-looking, iron-bound reinforced design is loosely based on Payne-Gallwey’s, the Caerphilly Castle engine and the roman/greek machines for the overall proportions. Medieval Balista MB01 - 4750.00€, pack includes 6 bolts. See full specs, details and customizing options. Our Roman Scorpio has the vitruvian proportions and is sized for shooting 3 1/2 span bolts. It features a sliding ruler and claw type release system and it has elegant arched wood frames. Roman Ballistae RB01 - 5250.00€, pack includes 6 bolts. The bolts are careful weighted and sized so that each batch has identical performance. The bolts for our standard 300 kgf ballistas have a 10 mm oak shaft with a square iron point, three vanes, reinforced nock and a varnish finishing. For the roman model the bolts are 3 ½ span long (app. 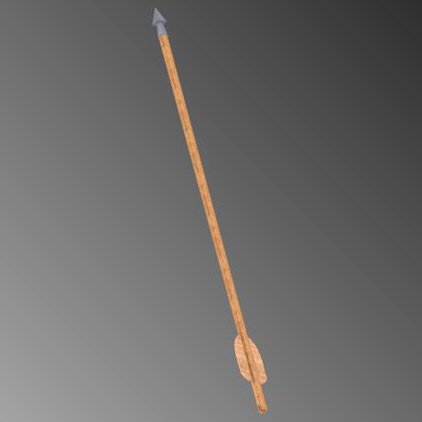 81 cm long), and for the medieval model app. 100 cm long. Bolt customization is also available, including different choices of vanes (feather flights) and points. Tracer bolts are also available. Contact us for more details. CERCO21 is developing catapults that are safe and fun to operate, sturdy build and can be transported in an everyday car. Once each is put through the same stringent tests we used on our ballistas it will be made available to the public. 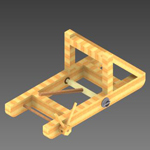 This design is the archetypical catapult, being the best-known since Marsden books. 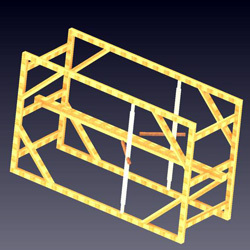 The same square-angle frame can serve as a roman Onager or a medieval Mangonel, being suited for equipping the throwing arm with a “spoon” for safely lobbing stones in a parabolic arch. 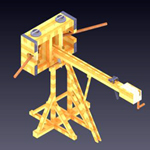 Our standard model is excepted to achieve performances of sending 2,5 kg projectiles more than 250 m away. This model is being re-designed. See the current model here. This variation will be more efficient than the standard “square” design: the forward-slopping buffer allows for a greater working angle for the throwing arm; it will also be fitted with a sling. It features a two-piece design for easiness of transport: the front “buffer” part is detachable from the back part. This allows it to be bigger than the “square-angle” model and still be transported in an everyday estate family car. The model will be carefully evaluated for safety (see Ammianus Marcellinus, XIV.4.28) before considering making it available to the public. This model is in project phase. See the first images here. This kind of engine (also named espringal, spingarda, spingala or springolf) was the most common form of torsion-powered artillery in European medieval times, according to historians like K.Nossov and D.Nicolle. We are still considering the mechanism for drawing the string: a winch or a screw. This model is being used this year in Lisbon castle see the pictures here.